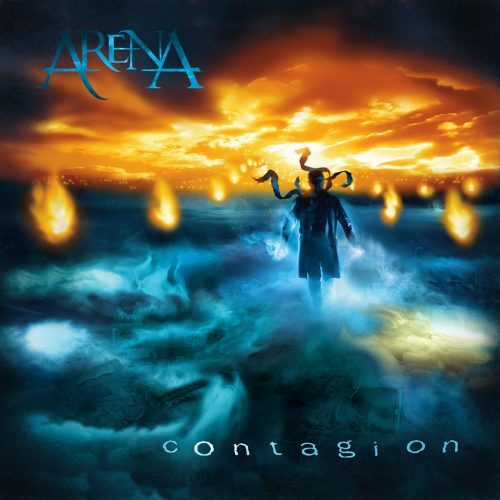 The long-awaited moment has come, January 2003 brings the release of Contagion! Being the first subsequent studio album with the same line up, the album reflects the growing unity of the band. It’s another concept album, this time based on a short story written by Clive, and offers ‘a dark vision of the future’. Surpassing The Visitor with even better artwork by fantasy artist David Wyatt and an intense musical roller-coaster ride, the album leaves both fans and critics stunned. It’s impossible to name any highlights – the album is one coherent whole. It gives Arena their first chart position in the band’s existence, in both Germany and Holland.